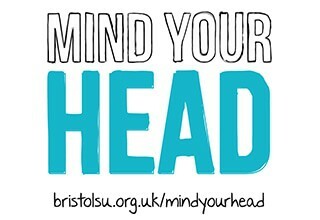 From 24 April to 5 May, We'll be drawing attention to students’ mental health through the Mind Your Head campaign. We think more people should be talking about their mental health. Through the Mind Your Head campaign, we’re encouraging students to think about and discuss their well-being with confidence. Over two weeks, Mind Your Head will show different perspectives on mental health through a series of workshops and events. From mindfulness sessions, to panel discussions and hikes in the forest, and much more. You can also find our campaign team, more information and a free cup of tea at our Tea Tent, which is running every day of the campaign on Tyndall Avenue.